Not every person can look at a boa constrictor named Barbara or a toad named Frank and think lovable thoughts. However, National Reptile Day is the perfect day for the squeamish and admirers alike to appreciate the role these creatures play in our ecosystem. We celebrate these reptiles on October 21 — where fans take the time to educate others about habitat loss, conservation programs, and the importance of keeping reptiles off the endangered list. Below we share what you can do to celebrate this holiday — even from a distance. Ecuador enacted the Galapagos Special law, to create the Galapagos Marine Reserve and protect the island wildlife (including the Galapagos Tortoise), manage fisheries, and inspect quarantine measures. ​Traces of the oldest known reptile, called the Hylonomus lyelli, were discovered in a fossilized tree stump in Nova Scotia. ​The methodological study of reptiles dates back to the time of philosophers Aristotle and Pliny. Spend some time holding and interacting with reptiles — perhaps at a pet shop — where snakes, frogs, or lizards are just a short car ride away. Contribute to programs designated to protecting endangered species. Many reptiles are still hunted for their use in leather or to meet consumer demands. In several regions, this type of hunting is a big problem due to the role most reptiles play in their specific ecosystems. Spend a day at the library researching and learning new things about reptiles. You may even find your future pet in the process. ​There are four orders of species: the Crocodilia (crocodiles, alligators, etc. ), the Tuatara (lizard-like), the Squamata, (includes lizards and snakes), and the Testudines (turtles, tortoises, and terrapins). ​The majority of all reptiles are considered ectothermic, meaning they rely on their environments to regulate their internal body temperature, reproductive health, immune system functioning, and daily stamina. One of the largest reptiles on record is the salt water crocodile, which can measure over twelve feet long and weigh more than a thousand pounds. 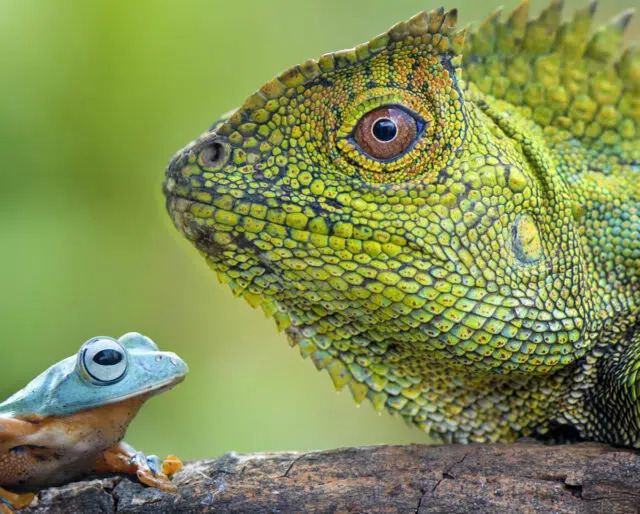 ​All reptiles play an important function in their ecosystem; for example, lizards control insects and pests in homes and gardens, while snakes keep rodents under control in urban life and in the countryside. ​The way reptiles adapt to their environments allows them to create defensive behaviors in fights, to reproduce, hunt for their food, or anticipate a dangerous situation. Reptile owners get a special day to appreciate their best friends every year with this holiday. This day allows us to treat our buddies and give some never-ending love and care! For those of us who don’t own a reptile, but are curious, this holiday allows us to take time to observe them in their natural element. For those who are very nervous or scared of anything slithery, this is the perfect day to face those fears. Taking the time to learn about these different species allows us to appreciate the environment we both share. This day is perfect to teach children about animals and nature.